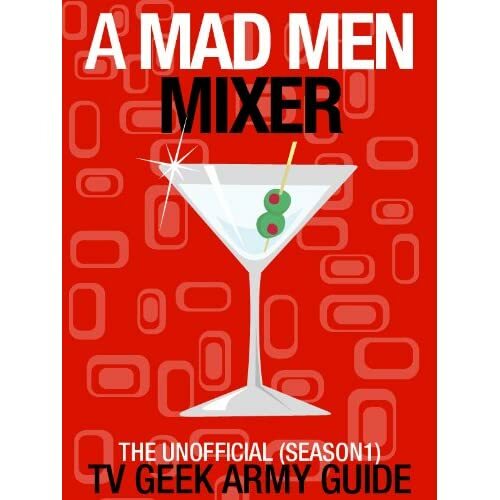 Quick Take: Mad Men, "Mystery Date"
Review: Mad Men, "Mystery Date"
(S0504) Despite the absence of the new-look Betty Francis (January Jones), "Mystery Date" was a heavy, heavy hour of television. Mad Men has always been a relatively dark show, but I'm hard pressed to think of an episode that was darker than this one. While there are certainly funny moments, nothing in "Mystery Date" approached the level of comic relief of, say, a scene like Harry (Rich Sommer) scarfing down White Castle in the passenger seat of Don's car. The tone and the vibe of "Mystery Date" is informed by news of the mass murders in Chicago by Richard Speck. The specter of Speck and the heinous crimes he committed hang over this episode like a thick fog. 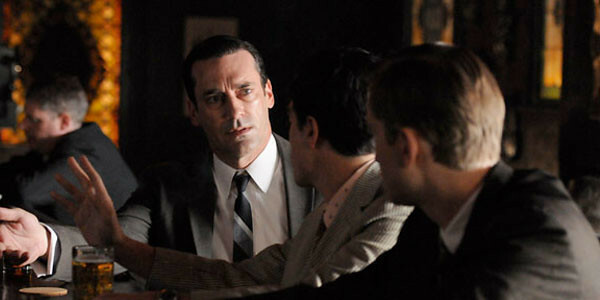 Interestingly, the character who seems most affected by the Speck story is typically unflappable Don (Jon Hamm). In the throes of a fever dream, Don imagines that he strangles to death a former lover. It's an incredibly powerful scene, one edited in such a way that the viewer actually believes for a moment or two that the "hero" of this story is a cold-blooded killer. After Don, it is Sally (Kiernan Shipka) who is scarred most be the killings in Chicago. Sally is home on summer vacation and forced to endure the torture of babysitting courtesy of Henry's dreadful mother. After Sally hears of themurders, she tries to talk to her step-grandmother about it, but she simply makes Sally's fears worse. Instead of comforting the girl, Grandma Francis opts to give her some kind of tranquilizer pill. Meanwhile at the Harris household, a joyous moment transforms into a sorrowful one. The terrible Dr. Greg (Sam Page) returns home unscathed from Vietnam, only to announce that he is heading back overseas for another year-long tour of duty. Joan, sick and tired of being a single-mother, decides enough is enough and tells Greg their marriage is over. Thank goodness. The only ray of sunshine in "Mystery Date" comes in the form of Peggy (Elisabeth Moss). When Roger (John Slattery) forgets to have Ginsburg (Ben Feldman) put together a campaign for Mohawk, he leans on Peggy for help. Peggy, a person that in previous seasons Roger would barely speak to, finally seems to be garner the respect from her co-workers that she has sought for years. In an awkward exchange with Don's new secretary, it dawns (no pun intended!) on her that she has been forced to sacrifice some on her femininity in exchange for the respect she hasearned at at SCDP. It's funny that the episode features Madchen Amick (who played Shelly on Twin Peaks) as Don's former lover. "Mystery Date" has a distinct, bizarre dream-like quality that David Lynch perfected with Twin Peaks. After last week's uneven Jon Hamm-directed episode, "Mystery Date" is a return to form -- albeit an unfamiliar form -- of sorts for Mad Men. Despite its dark elements, "Mystery Date" is a thrilling hour of television that highlights the fears and paranoia of the times -- violence, war, gender roles, and racial strife.